Brittany's Book Rambles: A Shadow Bright and Burning Blog Tour: Guest Post & Giveaway! Brittany: Hey guys! 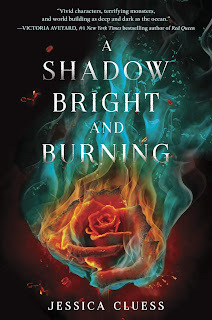 Today, Jessica Cluess is on the blog for the A Shadow Bright and Burning Blog Tour! 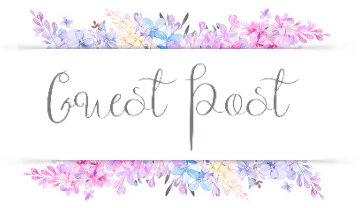 I hope you guys enjoy this post, be sure to add this book to your TBR and check out the giveaway at the bottom ^_^ Also, check out my review! I woke to sunlight streaming through the window. Rubbing my eyes, I sat up and froze when I heard tapping. “Hello?” I called, but no one answered. It sounded like something hitting my bedpost. Turning my head, I found a stick of polished wood lying on the pillow next to me, utterly still. I pulled the blankets to my chin. “Hello?” I said again, like a fool. But what else does one say to a mysterious object? “Are you mine?” I whispered, taking it in hand. I swore I felt the briefest flicker of a pulse, as if it were some living creature. At my touch, the wood stretched and squeezed, like taking a damp cloth by both ends and wringing it. When the wood relaxed, it no longer appeared smooth and polished. An unseen hand had etched the sorcerer sigils for fire, water, earth, and air into the wood. A five-pointed star appeared at the handle. A tendril of carved ivy leaves wound along the stave’s length. My hands trembled as I traced the images. It was mine. God, it was mine. I threw the blankets back and leaped to the floor, twirling the stave around and around in my hands. Lilly entered with a tea tray and gasped. I bowed it toward her, and a gust of wind erupted through the room, blowing her skirts above her knees. She jumped and a cup fell off the tray and smashed to pieces. “I’m so sorry!” I threw the stave onto the bed and went to help her. “Quite all right, miss.” She bent to pick up the pieces, joining me crouched on the floor. When our eyes met, we burst out laughing. I had a magic stave. What was a broken cup compared to that? 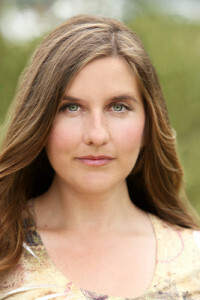 Brittany: Thank you so much, Jessica, for being on my blog today! I finished the ARC a few days ago and was so sad when I got to the end because I loved the world it's set in and the characters are so lovable! I need the next book now! I planned to pick up a finished copy to support the author and because I love it so much! I haven't been this excited for a series in some time! I need more Henrietta, Magnus, Rook, Blackwood, and another character I won't mention by name because I don't want to spoil anything! Thanks for the great post and the giveaway! I'm so glad that you love A Shadow Bright and Burning, I'm definitely buying the finished copy!! I haven't fully forgiven Magnus yet but I definitely want more Henrietta, Rook, and Blackwood! I'm so jealous about this mysterious character! Hopefully, I'll find out soon. It sounds like a good one. The cover is great, and that little excerpt definitely catches my interest! Thanks for sharing this! It is a good one! Definitely check it out. The cover is gorgeous and what's inside is even better. I want to read this one!!! It sounds amazing and I've read so many positive reviews for it. I'm getting this one in the mail!! I'm so excited to get it and read it. I seriously loooove this cover so much! ... and the guest post was great ahaha.